Lost In The Sound proudly presents Big Big Plans, a pop punk band hailing from West Chester, Pennsylvania. The young band has already released an EP in early 2010 and are currently at work on a new full length that will be out later this year. You can listen to the first single from Everything You’re Hiding below. “Stop & Go” features the use of a catchy guitar riff that subtly lies behind the driving vocals of frontman Eric Thomas Reavey. If you like fun, punk-enfused pop rock, be sure to give it a listen below. You can support the band by purchasing the track on their Bandcamp, listed below. Big Big Plans is a four piece pop punk/pop rock band from West Chester, Pennsylvania. The band is composed of Eric Thomas Reavey on vocals and guitar, Kevin Shishko on drums, Derek Parker on guitar, and JP Florio on bass and vocals. 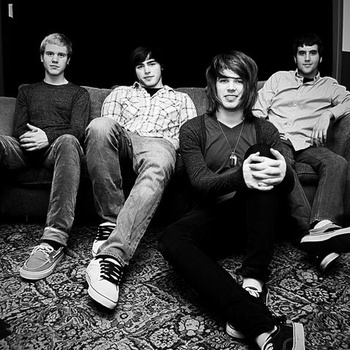 Their first release was a 3 song EP titled 2010 EP back in early 2010. Since then, the band has been hard at work on a new full length that is set to come out in the next few months titledEverything You’re Hiding. “Stop & Go”, which is the first single off the new record is just a taste of what they have in store. Since forming, Big Big Plans has had the pleasure of sharing the stage with Four Year Strong, Polar Bear Club, and Koji. While they are made up of 3 college students and a high school junior, they are still hard at work currently writing more material to be released after the LP and also playing as many shows as possible. Lost In The Sound proudly presents Looking For Alaska, an indie rock band from Memphis, Tennessee. Combining soaring instrumentals with accessible personal messages, Looking For Alaska draws comparisons with bands such as The Dangerous Summer, Copeland, and The Starting Line. The band’s debut EP, energetic and fun, hints at an extremely bright future for the band. Be sure to give it a listen. Read more for a band biography, contact links, and a free download of their debut EP Everything We All Wish We Could Be. 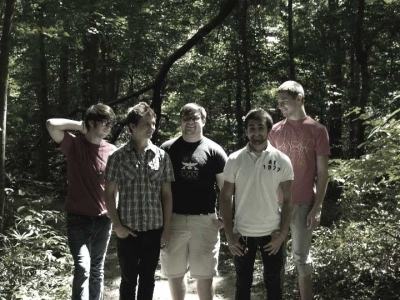 Forming in the early months of 2009, Looking For Alaska is an indie rock band that planned to break the mold in the Memphis, TN music scene. Surrounded mostly by metal bands, Looking For Alaska began playing their brand of unique and accessible indie rock around the Memphis area. After going through several member changes, the band is finally at a state of stability and readiness to take on the world with their music. Including members Chad Turner (Vocals), Calvin Lauber (Lead Guitar), Joshua Cannon (Rhythm Guitar), Garrett Galtelli (Bass), and Chris Chamoun (Drums), the band mates and best friends have played all over TN and surrounding areas trying to make an impact on anyone willing to listen. In spring of 2010 Looking For Alaska began recording their debut self-produced EP “Everything We All Wish We Could Be”, featuring catchy indie rock songs with themes that include saving friendships, bettering yourself, and finding God. The EP was released physically and on iTunes on August 17, 2010. Working with the non-profit organization Smith 7, Looking For Alaska has helped raise money for poor and needy families all over Memphis. Since then the band has already recorded two new self-recorded and produced demos and is writing their future full length album. With plans to tour as much as possible, Looking For Alaska hopes to reach out to anyone finding themselves in situations where all they need is a little hope to hold on to. Download the band’s EP Everything We All Wish We Could Be for free here. Support the band by purchasing the EP on iTunes here.